January 11, 1993 – RAW: Yokozuna b Koko B. Ware, Bobby “The Brain” Heenan cut a promo hyping the debut of Narsicist, The Steiner Brothers b The Executioners (Duane Gill & Barry Hardy), Doink the Clown was shown messing with fans in the crowd, Interview with Razor Ramon (Said he was born for this “Golden Opportunity” at Royal Rumble), Shawn Michaels b Max Moon (Paul Diamond), Highlights (Kimchee & Harvey Wippleman were abusing Kamala when Slick came to his rescue. Kim Chee knocked down Slick and Kamala sided with Slick! ), The Undertaker w/Paul Bearer b Damian Demento, Crush confronted Doink the Clown at ringside who only taunted Crush with his evil tricks. January 18, 1993 – RAW: The Repo Man attacked Randy Savage from behind during the introductions, Mr. Perfect b “Terrific” Terry Taylor (Ric Flair tried to distract Mr. Perfect but it backfired), Interview with Bret “Hitman” Hart (Talked about Razor Ramon attacking Owen Hart and threatening to slap Stu Hart), Marty Jannetty b Glen Ruth, Highlights of Doink The Clown attacking Crush with a prosthetic arm, The Repo Man bragged about reposessing Randy Savage’s hat and challenged him to a match, “Nature Boy” Ric Flair vs “El Matador” Tito Santana ended in a No Contest after Mr. Perfect interfered (Ric Flair challenge Mr. Perfect to a “career vs career” match next week. Mr. Perfect accepted)..
January 25, 1993 – RAW: Randy “Macho Man” Savage b The Repo Man to regain posession of his hat, Bob Backlund promo about Headlock on Hunger, Kamala b The Brooklyn Brawler, Mr. Perfect b Ric Flair in a “Loser Leaves the WWF” match. February 1, 1993 – RAW: Tatanka b Damian Demento, High Energy (Owen Hart & Koko B. Ware) b Iron Mike Sharpe & Glen Ruth, Doink b Typhoon, Yokozuna b Bobby DeVito, Lex Luger b Jason Knight. February 15, 1993 – RAW: The Steiner Brothers b Glen Ruth & Bobby Who, Yokozuna b Ross Greenberg, Razor Ramon won a Battle Royal (Participants: Shawn Michaels, Razor Ramon, Kamala, Bob Backlund, Kim Chee, The Bezerker, Tatanka, Owen Hart, Mike Sharpe, Damian Demento, El Matador, Terry Taylor, Koko B. Ware, Typhoon, Skinner & Giant Gonzales), Brutus Beefcake b Ted DiBiase by DQ. February 22, 1993 – RAW: Bam Bam Bigelow b Scott Taylor, Tatanka & The Nasty Boys b Shawn Michaels & The Beverly Brothers, Crush b Terry Taylor, The Undertaker vs Skinner was still happening as RAW went off the air. March 1, 1993 – RAW: Bret Hart b Fatu by Submission, Doink the Clown b Koko B. Ware by Submission, Lex Luger b P.J. Walker, The Steiner Brothers b Barry Hardy & Duane Gill. March 8, 1993 – RAW: Razor Ramon b Ross Greenberg, Typhoon b L.A. Gore, Bob Backlund b Papa Shango, The Nasty Boys vs The Headshrinkers ended in a Double DQ..
March 15, 1993 – RAW: The Bushwhackers b Damien Demento & The Repo Man, Tatanka b Reno Riggins, Money Inc. b John & Jess Armstrong, Doink vs Kamala ended in a Double DQ..
March 22, 1993 – RAW: Bret Hart b Fatu, Doink the Clown b Koko B. Ware, Lex Luger b P.J. Walker, The Steiner Brothers b Duane Gill & Barry Hardy. April 5, 1993 – RAW: Bam Bam Bigelow b Virgil, Bob Backlund b Kim Chee, Damien Demento b Jim Brunzell, The Steiner Brothers b The Beverly Brothers, Jerry Lawler b Jim Powers. April 12, 1993 – RAW: The Steiner Brothers b Money Inc. by DQ, Tatanka b Skull Von Krush, Papa Shango b Scott Taylor, Friar Ferguson b Chris Duffy. April 19, 1993 – RAW: Razor Ramon b Virgil, Giant Gonzales b L.A. Gore, Tatanka b Art Thomas, Money Inc. b The Beverly Brothers, Bam Bam Bigelow b Phil Apollo. 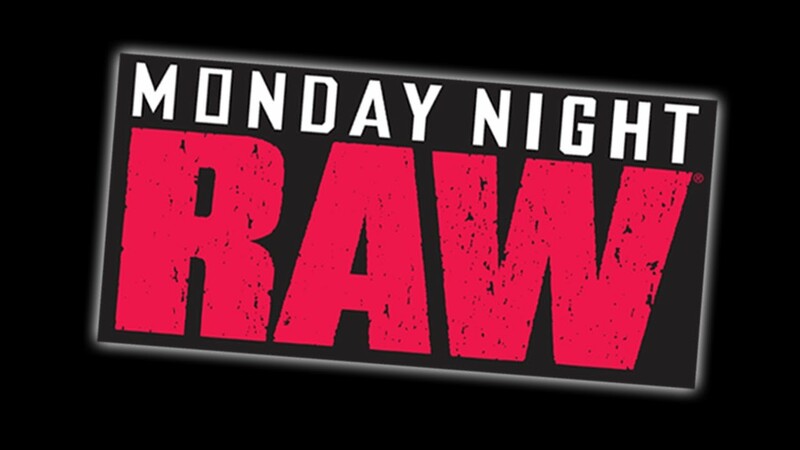 April 26, 1993 – RAW: Mr. Perfect b Damian Demento, Lex Luger b Crush by Countout, Mr. Hughes b Jason Knight, Typhoon b Skull Von Krush. May 3, 1993 – RAW: Jim Duggan b Shawn Michaels by Countout, Doink b The Kamikaze Kid, Bob Backlund b Duane Gill, The Headshrinkers b Jim Bell & Tony Roy, Kamala b Rich Myers. May 10, 1993 – RAW: Bam Bam Bigelow b Typhoon, Yokozuna b P.J.Walker, Mr. Perfect b Iron Mike Sharpe, Mr. Hughes b The Cannonball Kid, Hacksaw Jim Duggan b Shawn Michaels in a Lumberjack match by DQ. May 17, 1993 – RAW: The Smoking Gunns b Tony Vadja & Glen Ruth, The Kid b Razor Ramon, Tatanka b Scott Taylor, Yokozuna b Kamala, Marty Jannetty b Shawn Michaels to win the Intercontinental title. June 7, 1993 – RAW: Shawn Michaels b Russ Greenberg, Adam Bomb b El Matador, Tatanka b Peter Weeks, Irwin R. Schyster & Fatu b Rick Steiner & Billy Gunn. June 14, 1993 – RAW: Mr. Perfect b L.A. Gore, Marty Jannetty vs Doink the Clown ended in a Double Countout, Razor Ramon Interview (puts up $10,000 to face the 1-2-3 Kid again), Owen Hart b Dan Dubiel, The Undertaker b PJ Walker (After the match, Giant Gonzalez & Mr. Hughes demolished The Undertaker), Jerry “The King” Lawler b Mark Thomas. June 21, 1993 – RAW: The Steiner Brothers b Barry Hardy & Reno Riggins, Marty Jannetty b Doink in a Best 2/3 Falls match. Mr. Hughes b Bobby Who, Razor Ramon vs The 1-2-3 Kid ended in a No Contest. June 28, 1993 – RAW: Shawn Michaels b Kamala, The Smoking Gunns b Iron Mike Sharpe & Barry Horowitz, Adam Bomb b P.J. Walker, Crush b Bastion Booger. July 5, 1993 – RAW: Highlights from the body slamming competition on the USS Intrepid on July 4th, The 1-2-3 Kid b Blake Beverly, Bam Bam Bigelow b Joey Maggs, The Undertaker b Samu, Mr. Perfect b Brian Costello. July 12, 1993 – RAW: Yokozuna, b Crush, The Headshrinkers b P.J. Walker & Aaron Ferguson, Tatanka b The Brooklyn Brawler, Mr. Hughes b Tony DeVito, Adam Bomb b Scott Amati. July 19, 1993 – RAW: Shawn Michaels b Marty Jannetty, Men on a Mission (Mabel & Mo) b Rich Myers & Hank Harris, Bastion Booger b Scott Despres, The 1-2-3 Kid b Chris Duffy. July 26, 1993 – RAW: Bam Bam Bigelow b Bret Hart by Countout, Mr. Hughes b Russ Greenberg, The Smoking Gunns b Duane Gill & Glen Ruth, Doink b Phil Apollo. August 2, 1993 – RAW: The Steiner Brothers b Duane Gill & Barry Horowitz, Adam Bomb b Tony Roy, Randy Savage b Doink, Mr. Perfect b Rich Myers. August 9, 1993 – RAW: Tatanka b Mr. Hughes by Countout, The Bushwhackers & The Macho Midget b Blake Beverly & Brooklyn Brawler & Little Louie, Razor Ramon b Dan Dubiel, The Heavenly Bodies (Jimmy Del Ray & Tom Pritchard) b Bobby Who & Mike Bucci. August 16, 1993 – RAW: The 1-2-3 Kid b Ted DiBiase by DQ, The Headshrinkers b Mike Khoury & Dave Moraldo, Marty Jannetty b Bastion Booger, Men on a Mission (Mabel & Mo) b Mike Sharpe & Barry Horowitz, Bam Bam Bigelow b Rich Myers. September 6, 1993 – RAW: Adam Bomb b Virgil, The Quebecers (Jacques & Pierre) b Duane Gill & Barry Hardy, Yokozuna b Barry Horowitz. September 13, 1993 – RAW: The Quebecers b The Steiner Brothers by DQ, Mr. Perfect b Tony DeVito, Razor Ramon b The Executioner, Doink b Rich Myers. September 20, 1993 – RAW: Scott Steiner b Quebecer Pierre, Bam Bam Bigelow b Lavern McGill, Mr. Perfect b Mike Bell, P.J. Walker b Irwin R. Schyster. September 27, 1993 – RAW: Tatanka vs Rick Martel ended in a Double Countout, Ludvig Borga b Phil Apollo, Jimmy Snuka b Paul VanDale, The Quebecers b The 1-2-3 Kid & Barry Horowitz. October 4, 1993 – RAW: Razor Ramon & Rick Martel were Co-winners of a 20-Man Battle Royal to determine the new Intercontinental Champion (Participants: Irwin R. Schyster, 1-2-3 Kid, The M.V.P., Mr. Perfect, Diesel, Adam Bomb, Bam Bam Bigelow, Randy Savage, Pierre & Jacques, Giant Gonzalez, Marty Jannetty, Bastion Booger, Owen Hart, Tatanka, Mabel, Bob Backlund & Jimmy Snuka), The Heavenly Bodies b Mark Taylor & Scott Thomas, Doink b Corey Student. October 11, 1993 – RAW: Razor Ramon b Rick Martel to win the Intercontinental title, The Headshrinkers b Tommy Morrison & Sid Curtis, Owen Hart b Scott King, Adam Bomb b Russ Greenberg, The RockNRoll Express (Robert Gibson & Ricky Morton) b Duane Gill & Barry Hardy. October 18, 1993 – RAW: The Steiner Brothers b P.J. Walker & Tony DeVito, Irwin R. Schyster b Scott Taylor, Tatanka b Iron Mike Sharpe, Bam Bam Bigelow b Dennis Diamond. October 25, 1993 – RAW: Crush b Phil Apollo by submission, The 1-2-3 Kid vs Marty Jannetty ended in a Double Count out. Ludvig Borga b Mike Bucci. Men on a Mission (Mabel & Mo) b Todd Mata & Steve Greenman, Diesel b Dan Dubiel. November 1, 1993 – RAW: Razor Ramon b Bastion Booger, Mr. Perfect b The Executioner, The Smoking Gunns b the team of Well Dunn (Timothy Well & Steven Dunn), Adam Bomb b Virgil. November 8, 1993 – RAW: Ludvig Borga vs Scott Steiner ended in a Double DQ, Men on a Mission (Mabel & Mo) b Corey Student & Steve Smyth, Rick Martel b John Paul, Crush vs Dan Dubiel ended in a No Contest, Bob Backlund vs Barry Horowitz ended in a No Contest..
November 15, 1993 – RAW: Razor Ramon b The Brooklyn Brawler, The Headshrinkers b Mike Bucci & Mike Moraldo, Quebecer Pierre b Lex Luger, Diesel b Sid Garrison. November 29, 1993 – RAW: The Steiner Brothers b Mike Bucci & Reno Riggins, Razor Ramon b Diesel by DQ, Bam Bam Bigelow b John Crystal, Owen Hart b Chris Duffy,, Ludvig Borga b Scott Taylor. December 6, 1993 – RAW: Shawn Michaels vs The 1-2-3 Kid ended in a Double Countout, The Quebecers b Mike Walsh & Bert Centano, Doink b Tony Devito, Crush b Tony Roy. December 20, 1993 – RAW: Jeff Jarrett b P.J. Walker. Men on a Mission (Mabel & Mo) b Duane Gill & Barry Hardy. Tatanka b Ludvig Borga by DQ. Adam Bomb b Mark Thomas. Owen Hart b Mike Bell by Submission. The Headshrinkers b Phil Apollo & Jerry Seavy. December 27, 1993 – RAW: Lex Luger b Barry Horowitz, Johnny Polo b Marty Jannetty, Crush b Mike Moraldo, Razor Ramon b Derrick Domino.